At twenty-seven, Joseph McGrath is disillusioned with his privileged life. An old-money millionaire son, Joseph, an only child, lives in the family mansion in Dayton, Ohio, with his mother, Francis McGrath. A widow, Francis is firmly entrenched in the social status of big money, and the prestige of their position in life. Joseph’s girlfriend, Marybeth, is also from a prominent family, and although she’s in love with him, Joseph wants to escape the trap of their expected marriage. He decides to take off by himself on a camping trip in the West Virginia Mountains, to getaway from all things McGrath and money. After a night of drunken abuse, Gilly Mae Combs, the daughter of a West Virginia mountain moonshiner, decides it’s time to leave the mountain and make a life of her own. At twenty-four, Gilly is the oldest of the ten Combs children. Although she can read, their secluded mountain life has produced an innocent, unaware, and uneducated young woman. Driving down a remote West Virginia highway, Joseph passes Gilly walking on the road and stops to offer a ride, she accepts and their transformative journey together begins. Gilly’s outgoing personality and total innocence of the world draws Joseph in, he’s captivated with her blank canvas. Convincing her to camp with him, he starts her lessons. With the promise to drop her back in WV on his return trip to Ohio, Joseph talks Gilly into going to NYC. The McGraths own a magnificent condo on the Upper East Side and Joseph wants to use it as his classroom. He has the Pygmalion bug, bad. Enamored with her simplicity, Gilly is the “fix” he’s been searching for in his own life. Her new nickname for him, Joey, suits him just fine. Enlisting the help of family friend, Elizabeth Manning, Joey buys Gilly new clothes and a new look. Cleaned up, she is stunning. Elizabeth is concerned about Joseph’s experiment going badly and Gilly getting hurt, but he disagrees and sees himself as a hero, giving her new opportunities. Elizabeth befriends Gilly and tries to protect her along the way. 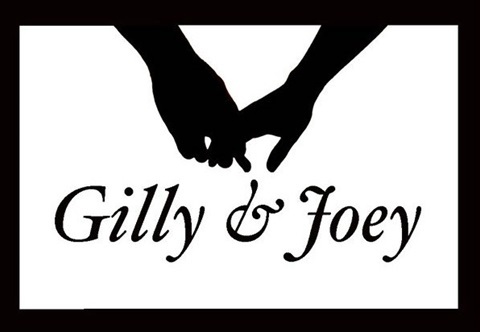 The education of Gilly goes more smoothly than Joey imagined, she's a quick study. As much as he denies his feelings for her to Elizabeth, Joey falls in love with Gilly. During their time in NYC, Joey lies to his mother, convincing her being in the city is just an extension of his need to be alone for a while. A nosey desk clerk in the condo building lets the Gilly cat out of the bag when Mrs. McGrath calls to find out if anyone on the staff has seen him. The lie lays the groundwork for a showdown with Francis when Joey takes Gilly back to Ohio to meet his mother. The meeting is a disaster and Elizabeth’s premonition is proven right. The unexpected climax in the final scene sets the stage for the sequel, Joey’s Story. Ideally, the second film would be shot in tandem and released shortly after, Gilly & Joey.